Stay warm this winter with Mulled Cranberry Wine. 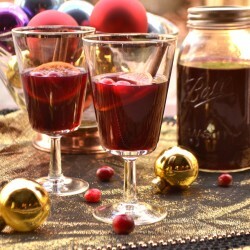 This warm spiced wine is made with homemade cranberry juice and mulling spice bags. 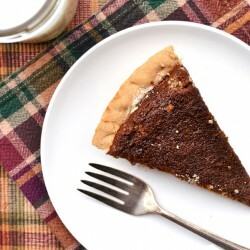 Molasses Pie – a simple PA Dutch & Amish pie. Similar to a shoofly pie – but different. Chewy, sweet, unique – delicious! It’s vegan too! 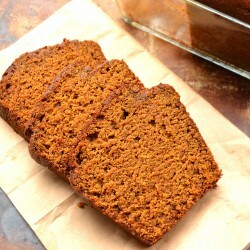 Pumpkin Molasses Bread – enjoy all the warm flavors of Fall with this moist quick bread. 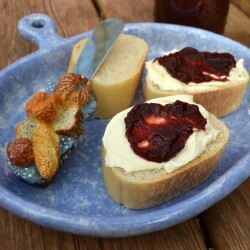 Cranberry Butter – smooth, creamy, sweet, tart, concentrated in your face cranberry boldness. 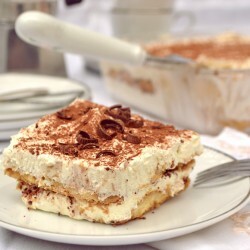 Easy Tiramisu. Made with Iced Coffee, Kahula, Whipped Cream, Mascarpone, Lady Fingers or Angel Food Cake. 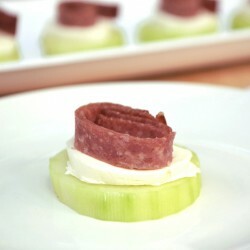 Cucumber, Cream Cheese & Lebanon Bologna Hors d’oeuvre. A simple Pennsylvania Dutch favorite fancied up. How to make cute, creepy & crazy candy eyes for Halloween decorating. Cheap & easy! 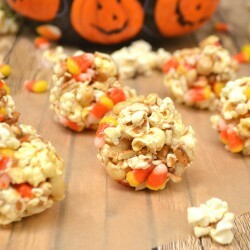 Popcorn Balls – a classic Halloween treat. Made with marshmallow, candy corn, peanuts & pretzels. Fun & easy! 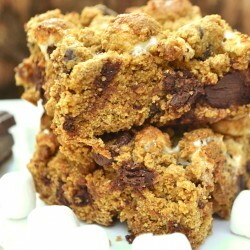 Indoor S’mores Cookie Bars made with graham cracker crumbs. Quick, Easy, Ooey, Gooey, Chewy, Crumbly & Delicious. Ready in 30 Minutes. 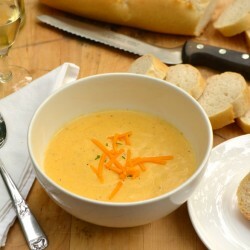 Cheese & Wine Soup. Rich, Creamy, Delicious – Brilliant! Made with Sharp Cheddar & White Wine. 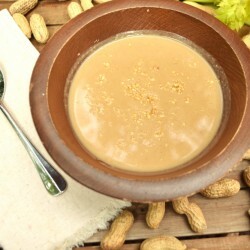 Enjoy the savory and almost sophisticated side of peanut butter with this smooth, rich, creamy peanut soup. Welcome fall with this Apple Cranberry Crisp! Cinnamon apples, a sweet, tart layer of cranberry sauce & a candied, crumbly, buttery oat topping. 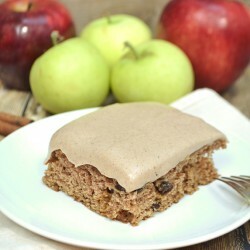 A simple yet delicious cake made with leftover baby food. Soft, fluffy, moist and loaded with flavor. 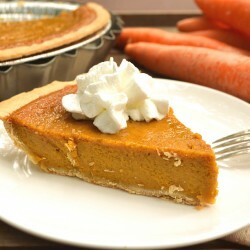 Like pumpkin pie? You’re gonna love this carrot pie. Sweet, creamy, perfectly spiced and it’s easier to make! Welcome fall! 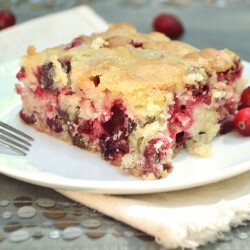 A moist, fluffy, buttery cranberry chocolate chip cake. Perfect for the upcoming cranberry season! Have you ever tasted apple butter? 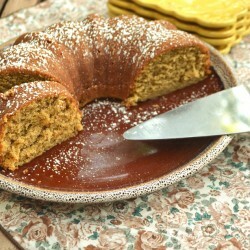 I’ve made a delicious Pennsylvania Dutch Applesauce Cake with Cream Cheese Apple Butter Frosting. 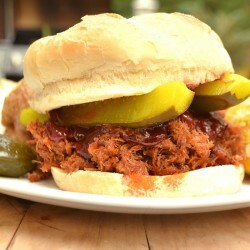 Pulled Pork Sandwiches with Homemade Chipotle Pepper Barbeque Sauce. Take your BBQ game to the next level! 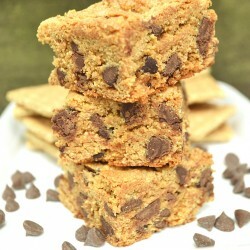 A chewy, unique & delicious cookie bar made with graham cracker crumbs. Quick to make with only 6 ingredients. 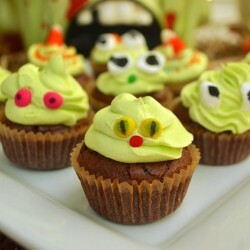 Kid friendly baking! 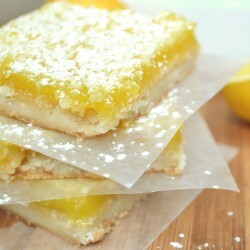 You’ll love how easy it is to make these sweet, tart, zingy lemon bars with a crumbly buttery shortbread crust! A delicious & fancy dessert. 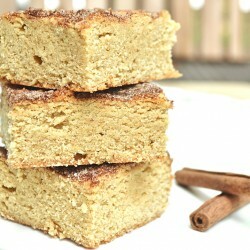 A soft and chewy Snickerdoodle Cookie Bar – quick, delicious & easy to make! 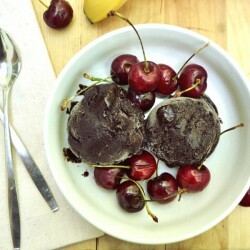 Chocolate Cherry Banana Ice Cream – a healthy, vegan dessert made using just 3 ingredients. 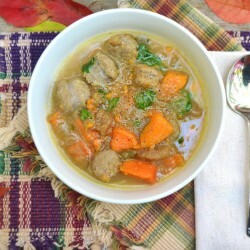 Creamy, delicious, guilt free & so easy to make! Try this Summer Squash With Big, Bold & Crisp Flavor. 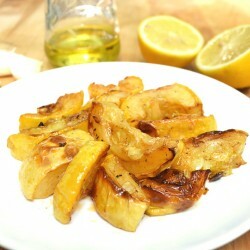 Roasted in Olive Oil & Lemon Juice – Easy & Delicious. 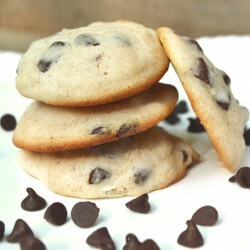 These super soft, buttery chocolate chip cookies are booming with tangy cream cheese flavor. They’re not just Christmas cookies anymore! 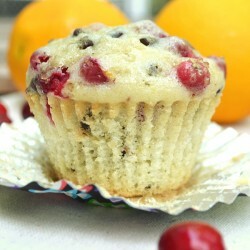 Simple, delicious, moist, quick to make fresh Cranberry Orange Chocolate Chip Muffins. 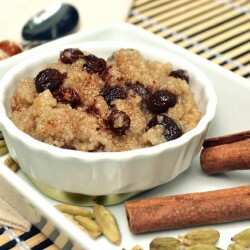 Perfect for breakfast, dessert or a sweet snack! 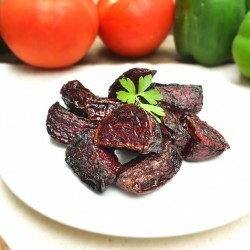 Made With Just Salt & Olive Oil – Simple & Delicious Roasted Fresh Red Beets. 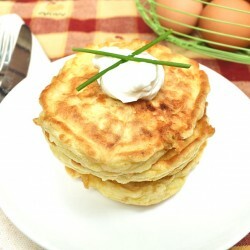 Perfectly Simple & Delicious Savory Egg and Cheese Pancake. Quick, Easy, Unique Egg Breakfast. 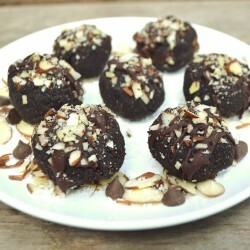 Delicious, fiber rich Chocolate Coconut Bites inspired by Almond Joys. Made with coconut flour – vegan, gluten free, paleo friendly. Love sweet & salty? 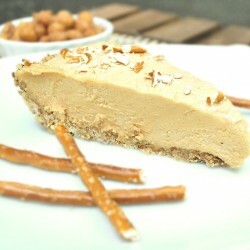 Try this peanut butter cheesecake pie in a pretzel crust. 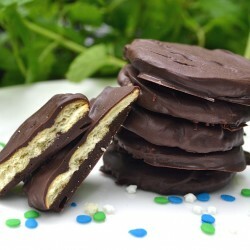 Quick, easy & delicious Copycat Thin Mint Cookies! 3 ingredients & 15 minutes is all you need. Vegan, no bake. 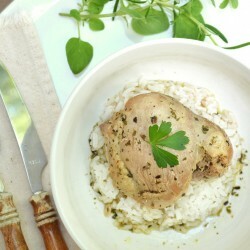 8 Bay Leaf Chicken – Delicious, Tender, Bold & Exotic Flavor Made with Basic Herbs & Spices – Quick & Easy to Make. A no bake and healthy(ish) fix for your sweet tooth. 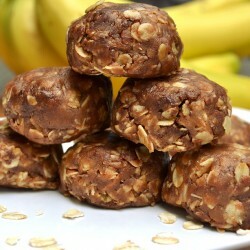 Chewy Peanut Butter Chocolate Cinnamon Oatmeal Cookie Bites. Vegan option. 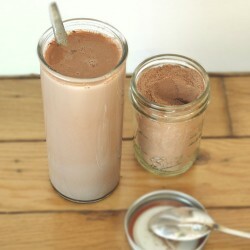 DIY Powdered Chocolate Milk Mix – Just Cocoa Powder, Sugar and Salt – Cheap and Takes a Minute to Make – No additives!